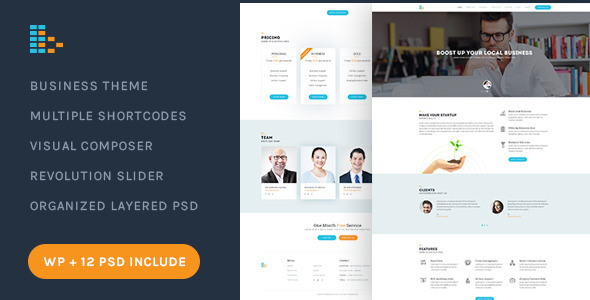 Business Wordpress theme. It’s not just ordinary Wordpress theme, its a new look of soft and clean professionalism for the Business or Consultancy. These designs combine creativity with simplicity on each page. This Wordpress theme is suitable for all Business & Consultancy centers and corporate business. Also included 12 PSD Files.